My mom attracts spy satalites. Not to be paranoid but someone is watching my mother. 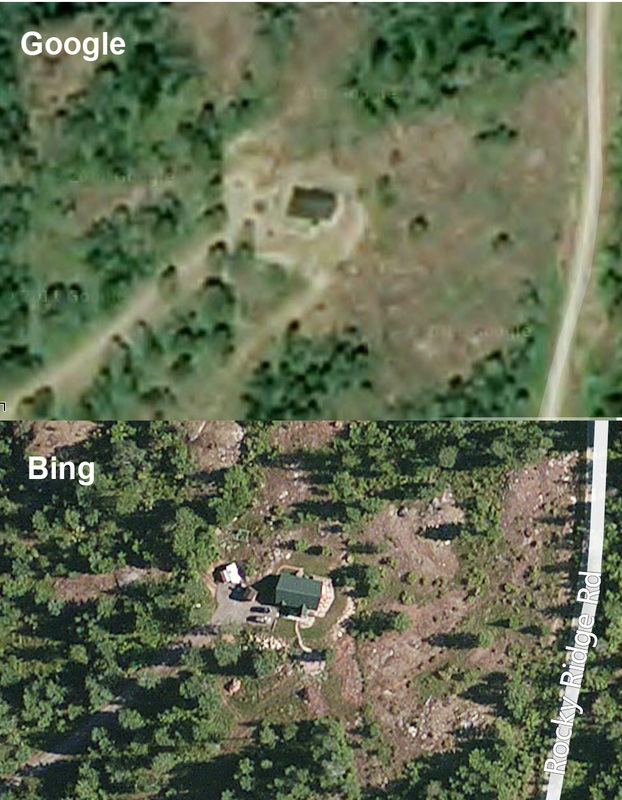 For years the Google satellite maps of our property have been icky. However, recently Bing has updated their images to show a great deal of detail. Below is a comparison between the old maps and the new ones… and something even more revealing. Note the white object behind (to the left of) our house. That is the trailer that mom was staying in last summer. They’re watching her. What do they know that we don’t know? This entry was posted on Tuesday, June 26th, 2012 at 9:59 am and is filed under Cocolalla. You can follow any responses to this entry through the RSS 2.0 feed. Both comments and pings are currently closed.